What does that mean? For so long, Asian American portrayals or stories have been constructed by others. These depictions have reduced us to stereotypical caricatures: the socially inept foreigner, the overly-sexualized temptress, or the emasculated nerd, rather than real three-dimensional people. That is if we are even seen at all. Asian Americans are still largely underrepresented in media entertainment, which negatively effects our population’s psyche. This phenomenon is called “symbolic annihilation,” or the idea that a group’s absence from the media signifies their social insignificance. The general audience not only begins to believe these messages, but Asian Americans begin to internalize them as well. It also reinforces our symbolic annihilation. Yet, despite public outcry from many Asian American viewers and prominent figures in the industry, we still don’t have a strong public voice or presence in our country. Part of the reason is due to the widespread perception that Asian Americans are meek and submissive workers who do not speak up. It was a joke, but it was also a poignant statement for her to make in a room full of so many Hollywood A-listers. It even prompted Emma Stone to shout “I’m sorry” for portraying Allison Ng in Aloha, a character described as being of Chinese, Hawaiian, and Swedish descent. Coming from a host who was also honored as a historical nominee, Oh leveraged her power and status to send Hollywood the message that the erasure of Asians is not acceptable anymore. Asians are often easy targets of racist and offensive jokes due to portrayals that exaggerate our supposed Otherness. A recent example of this is when Chris Rock brought three Asian kids out on stage to be laughed at by audiences as a cheap joke when he hosted the 2016 Oscars. This year, with Crazy Rich Asians being nominated for an award, the Golden Globes had more Asians in the room than ever before. Naturally, the setting could have prompted a whole slew of Asian-related jokes. Oh took advantage of the situation to even crack a few herself. However, the jokes were not at the expense of Asians. Rather, she made light of shared experience that Asian Americans have: mothers who are difficult to impress, and those of us who have to cover up Asian flush. These are not things to be ashamed of, but rather, things to own and laugh at. It’s an inside joke that recognizes the realities of the Asian American experience. Oh also good-naturedly shut down Andy Samberg after he pretended not to get it: “Don’t worry. This joke’s not for you.” In doing so, she stood up for us, and showed the audience that it is not okay for anyone else to make Asian-related jokes out our expense. It was a classy and subversive move, filled with rollicking laughter. She stood up for us, and showed the audience that it is not okay for anyone else to make Asian-related jokes out our expense. It was a classy and subversive move, filled with rollicking laughter. Although this may also seem unremarkable and even expected, seeing Oh’s joy when she received her Golden Globe carried a significant visual impact for viewers. Often, Asians are seen as stoic, emotionless, and unexpressive, and these discriminatory assumptions reinforce our Otherness. They can also negatively affect how we are treated in society, such as how Asian Americans are less likely promoted to leadership positions. 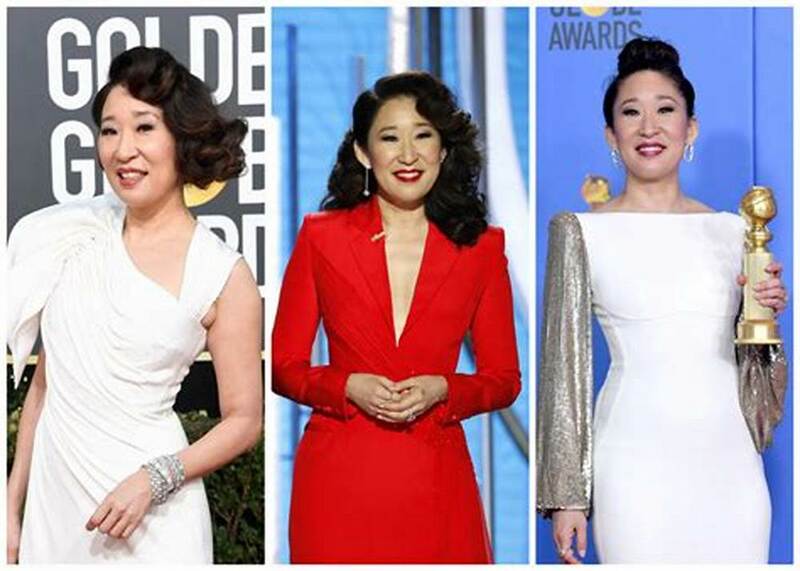 But Sandra Oh’s ecstatic reaction to winning her Golden Globe was an undeniable demonstration of her spirit and vitality. In just a short 1:21 minute acceptance speech, you can see Oh go through a whole range of emotions: shock, disbelief, triumph, pride, nervousness, gratitude, and most importantly, love. Oh ended her acceptance speech by saying “I love you” to her parents in Korean and bowed to them in respect. Seeing her unfiltered joy and love is such a validating thing for audiences to watch because it shows people that Asian Americans do experience the same emotions as everyone else would, and we can show it. She also publicized a private exchange that people rarely get to see. Many Asian Americans speak their mother tongue (in varying degrees of proficiency) only with their parents at home. But Oh gives the audience a glimpse inside the home of an immigrant family. And she showed the country, in a such heartfelt way, that they would just find a happy daughter with loving parents; nothing weird, foreign, or threatening. She showed people that she is not so different from the rest of us after all. It is debatable whether or not award shows have an impact on our country’s culture. But Oh’s presence that night was not just historical, it set a precedent and standard for future generations of Hollywood for how Asian Americans should be represented. But Oh’s evident joy and love shows us that we have nothing to be ashamed of. Rather, being Asian is a cause for celebration. And with an additional Best Actress Critics Choice award and Best Actress SAG award under her belt, Asian Americans have more things to celebrate about. 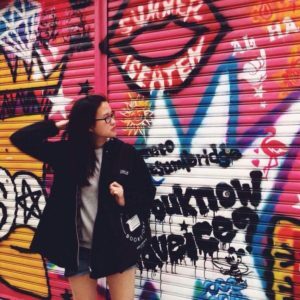 Jacqueline Wong is a writer who focuses on Asian American representation in media and culture. You can find more of her work here on Medium. Learn more about Reappropriate’s guest writer program and submit your own writing here.